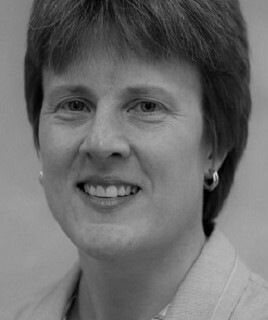 Dr Helen Weeds is a Senior Consultant to the European Competition Practice of CRA. Dr Helen Weeds is Honorary Senior Research Fellow in the Management Department at Imperial College Business School, where she has taught Digital Economics at Masters level. She is on the Academic Panel of the Competition and Markets Authority, the Regulatory Challenge Panel of the National Infrastructure Commission and is a Member of the Centre for Competition and Regulatory Policy at City University London. Dr Weeds has extensive experience in competition policy, providing economic analysis and advice in a large number of merger, competition and regulatory investigations in the UK, EU (EC and Member States), South Africa and Canada. Her main focus is on the communications and Internet sectors. Major cases include 21st Century Fox/Sky, Altice/Media Capital, BT/EE, BCE/Astral, Telefónica/O2, British Salt/New Cheshire Salt Works, Archant/INM, IBM/Schlumberger, Newscorp/Telepiù, Centrica/Dynergy Storage, BP/E.On, Lloyds/Abbey National, BSkyB/Manchester Utd., BSkyB CAT appeals on wholesaling of Sky Sports, CC Movies on Pay TV market investigation and CC investigations into mobile termination charges. She has advised on wider public policy issues including media plurality, public service broadcasting, spectrum pricing, infrastructure investment and financial issues in regulation. She has acted as a Specialist Adviser on broadband to the House of Commons Digital, Culture, Media and Sport Committee, and advised the Irish Commission for Communications Regulation (ComReg), Irish Competition Authority and UK Competition Commission (now CMA). She was previously Chief Economist at Ofcom, where she led the economic input into Ofcom’s strategic reviews, peer-reviewed economic analysis across Ofcom and sat on the Ofcom Policy Executive. After obtaining her Doctorate in Economics from the University of Oxford, Dr Weeds held academic positions at the Universities of Cambridge, Warwick and Essex, and visiting positions at MIT and Northwestern University. She has research interests in industrial organisation, media economics and the economics of information, with published articles in (among others) the Review of Economic Studies, Economic Journal, European Economic Review and International Journal of Industrial Organization.